In this article, we will discuss natural remedies to get rid of gas pains. Call it whatever, gas, breaking wind, farting, flatulence, air attack, the nether belch-weвЂ™re all referring to the same uncomfortable situation that crops up at the worst time. One of the most embarrassing health problems faced by the people in modern times is a gas problem. 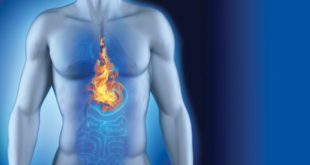 In medical terms, when nitrogen, carbon dioxide, oxygen, hydrogen, and methane mix together, it forms intestinal gas and when this gas is not able to pass through it creates a problem. Many people joke about gas pain and its usual results, but when gas pain becomes severe it is nothing to laugh about. 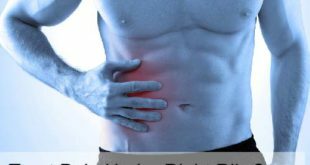 A number of different sources, including food allergies, high fiber foods, swallowing too much air, stress or conditions such as irritable bowel syndrome or colitis are the causes of abdominal gas. In order to get rid of gas pains, one needs to make certain lifestyle changes and also adopt alternate methods to treat the problem. 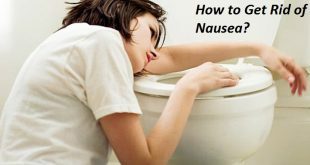 Some natural remedies work really well not only to help you get rid of gas pains, but also ease your stomach and provide you comfort from the excessive gas. However, consult your doctor if you experience recurring gas pain that interferes with your daily life. Gas is simply air in the digestive tract — a normal and expected consequence of digestion. 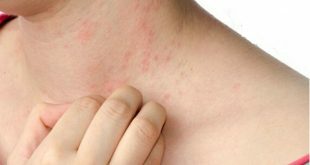 It is an indication of some other ill health condition and not really a disease in itself. ItвЂ™s important to know that problems, like burping, belching, or flatulence are all the results of too much gas being stuck in our system. 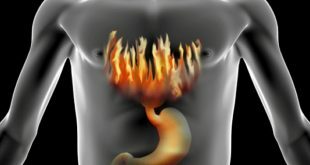 If for a very long period of time there is food in the stomach, it puts a lot of pressure on the stomach and esophagus. And since food requires acid for digestion, people suffer from the problem of indigestion. This pain is a discomforting pain in the abdominal region. Ginger has long been used an age-old remedy for food poisoning, menstrual pain and practically any kind of stomach pain and problems related to the digestive system. The thing most people are not aware that ginger can also be used for some stomach problems. 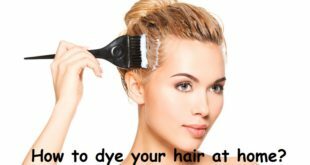 For people who do not have strong ginger, powdered ginger can also be used, but again, avoid having water after taking in a small portion of the powder. Using ginger is no doubt an excellent home remedy for getting rid of gas pains. Here grate a small piece of ginger and add one teaspoon of honey. Eating this at least twice a day helps to promote the release of gastric juices and improve digestion. Avoid drinking water immediately after eating it. Ginger tea can also be used if you donвЂ™t want to use the above remedy to cure gas pain. Apple cider vinegar is a great remedy for getting rid of a number of stomach and skin problems. It is a magic potion to kill those harmful bacteriaвЂ™s and helps fasten the healing process. Making use of apple cider vinegar here is one of the most favored remedies here and helps you to get rid of gas pains quickly. To benefit from apple cider vinegar, take a teaspoon of the vinegar and follow it up with a glass of water. Alternatively, you can dilute one teaspoon of vinegar in a glass of water and drink this solution. Take this at least twice daily and continue till your condition becomes better. Apple cider vinegar helps in killing those bacteriaвЂ™s provides a great amount of relief to the stomach and intestines. The amazing lemon is a powerful antioxidant that removes free radicals from the body and detoxifies it because of high vitamin C content. Baking soda helps in relieving your stomach ache and getting rid of excessive gas problems, thereby restoring the PH levels in the body as well. However, you should always take precautions here – do not use this remedy if you have high blood pressure or you are on a low-sodium diet. 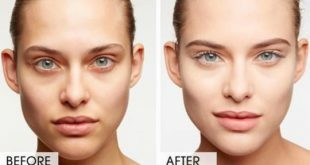 To benefit from baking soda and lemon, add the juice from one lemon, one teaspoon of baking soda and one-quarter teaspoon of salt to a glass of warm water. Drink it immediately, before the fizz fizzles out. Use this remedy three times a day until your stomach ache is reduced and you get rid of gas pains completely. It is an excellent remedy and provides a lot of relief to your aching stomach. ThereвЂ™s actually nothing like warm water and lemon for your stomach. Lemon has far been known as one of the best remedies for getting rid of gas pains. Its citric acid has an everlasting touch on the stomach and helps to stabilize the acid in the stomach really fast. Here you simply have to take 50 ml of warm water and add 2 teaspoons of fresh lemon juice to it along with a little black salt. Drink this solution at least thrice a day to get rid of gas pains effectively. Lemon also helps to prevent you from vomiting and helps to get rid of any uneasiness you may be suffering from. 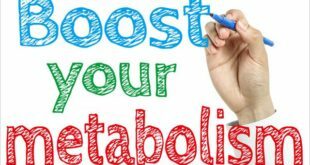 It also helps to give you instant energy and helps to revitalize you. Always make sure you opt for fresh lemon juice here rather than any tetra pack or canned one. Anise is often used as a flavoring agent, but it also has anti-spasmodic properties that can allow your digestive track to relax and alleviate cramping. It is also a carminative, which is just another way of saying that it is known to expel pent gas and relieve swelling goes through it. Anise seeds help a lot in relaxing the digestive tract and helps with cramping in the stomach as well. 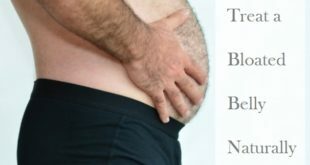 It also helps to expel the pent-up gas and relieves the bloating. Inhaling anise seed in water every day helps to get rid of gas pains really fast. Drink before or even after your meals. Before you drink this solution, you can visit a doctor because anise seeds are known to be allergic to some people. Fennel seeds are natural cooling agents that help in cooling the system and providing relief against acid reflux. Chewing fennel seeds every day after meals on a regular basis can aid your digestion and help you get rid of gas pains completely after a few days. You can also use fennel seeds to make a herbal tea. For this just boil a little water and add two tsp of fennel seeds in it.В Steep them for at least 10 minutes and then strain and have this tea. 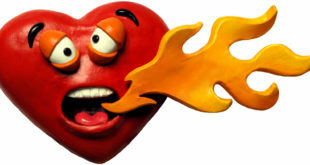 If you suffer from regular heartburn, have this tea daily for about a month or so and see the amazing results yourself. These amazing seeds Carom seeds act as natural antacids because of the anti-acidic properties they have. It soothes the mucous membrane of your stomach. Thymol present in carom seeds act against acidity and gives you relief from heartburn. 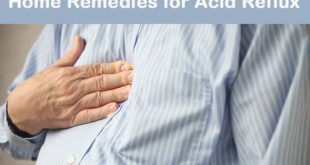 It is one of the finest Ayurvedic remedies for acid reflux and gas. Here grind 1 tbsp each of carom seeds and cumin seeds to get their powder and add this to 1 tbsp of ginger powder. Just having a little after meals would be best here. Alternatively, you can take 1-2 tsp of carom seeds and boil this in a glass of water for about 5-10 minutes. Strain and have this at least twice daily. You can also take 1 tsp of carom seeds and add it to a pinch of black salt. Have it. If you canвЂ™t have it like this, gulp it with some water. 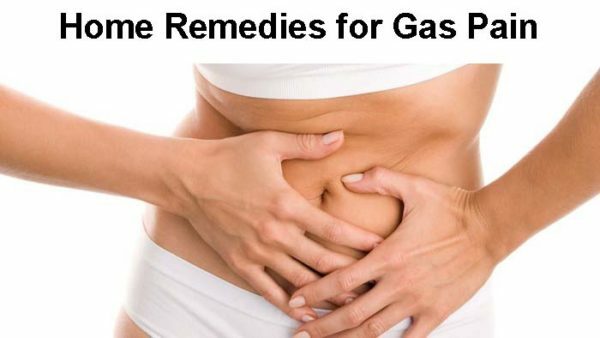 These are all good remedies to get rid of gas pains faster. Cardamom is an effective home remedy for gas pains and leaves a pleasant sweet taste in the mouth as well. To benefit from cardamom, just take two cardamoms and crush them well. Now add them to 250 ml of water and bring it to a boil. Steep for 15 minutes and then strain and drink the water. Do this twice every day to speed up the process. Cardamom helps in settling down the acid reflux and provides you a lot of relief against the burning sensation as well. Taking this regularly for about a month or so will help you get rid of gas pains completely. Here you need to take 1 teaspoon dried chamomile flower petals, strainer, 1 cup of boiling water and Honey or lemon (optional). Put one cup of water to boil and then put it on simmer. Add 1 teaspoon of dried chamomile petals and allow to simmer for just about a minute. Take the pan off the flame and let the petals soak for another minute or two before straining them. Now add a bit of honey or lemon if you wish after pouring it all into a mug. This is really effective for getting rid of gas pains easily. This wonderful ingredient helps treat gas pains caused by gas or indigestion because of the antispasmodic and antiflatulent properties present in it. Here just add one teaspoon of asafetida to a cup of warm water. Now take a cotton cloth and soak in the solution. Place it on your stomach for 10 to 15 minutes at least. This will soothe the stomach and reduce pain. Do this several times a day to get rid of gas pains. You can also add a pinch of asafetida to a glass of warm water, mix it well and drink it two or three times a day. Rock salt can also be added to this if you like. This remedy is equally effective for both a stomach ache and gas and has long been used for getting rid of gas pains really fast. If you never want to suffer from stomach ache, itвЂ™s always best to cook your foods with a little asafoetida every single day. Consuming raw garlic will kill any microbes in your gut and also help in releasing the excessive gas. Garlic also helps to relieve certain symptoms such as abdominal cramps and intestinal inflammation. It has strong antibacterial, antiviral, and antiparasitic properties and is one of the best home remedies for gas problems. Garlic helps in balancing the electrolytes in the body fluids because of its potassium content. Chewing two to five grams of garlic a day is one of the best ways to get rid of gas pains. You can also include a lot of garlic while cooking your foods when you suffer from gas problems. This is one of the most favored home remedies for gas pains and a lot of people around the globe use garlic to get rid of gas pains effectively at home. Dandelion leaves are not just a great laxative but also a natural detoxifier for the human body. 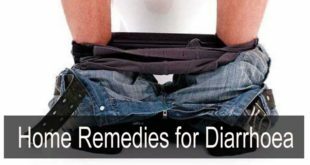 It helps to relieve constipation almost instantly if taken on a daily basis without fail. The best way to have dandelion is to put one teaspoon of dried dandelion leaves in a mug and then pour a cup of hot water over it. Let it steep for at least 10 minutes and then sip it slowly. 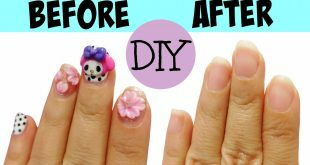 You can do this twice a day as well. Have a dandelion tea at least for 15 days continuously and see how you reduce your constipation and gas problem to a great extent. Dandelion tea treats constipation from the roots and makes your intestines work better It is a great home remedy for getting rid of gas pains faster. Other than these, some homeopathic medicines are good to use. As these are natural and help to treat the root cause here. Pulsatilla: It is used when indigestion is at its worst and is caused by consuming fatty and rich foods. Nux Vomica: It is used when one suffers from stomach pain and the urge to vomit. The remedy works best for those, who are overindulged in alcohol, stimulants, and food. Natrum phosphoricum: It is used when a person suffers from indigestion due to the consumption of a lot of dairy products or sugar. Natrum carbonicum: It is used for healing digestive problems. Colocynthis: It is used for healing cramping pain in the stomach. Bryonia: A remedy for a heavy stomach. Arsenicum album: It is used when the stomach and esophagus trouble with restless pain. Carbo vegetabilis: It is used when digestion is too slow and incomplete. Do not drink fluids with meals. Gas is caused by sorbital which is highly present in sugar-free gums and candies. So you must limit their consumption or avoid them altogether. Do not eat in a hurry. After having a meal, relax (but do not lie down) for about 5-10 minutes. Stop smoking (while smoking, you swallow air, too). 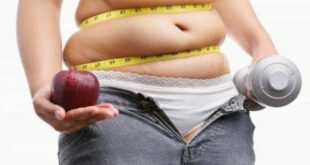 Reduce the consumption of fatty and starchy foods. Go for walks after meals. Avoid using a straw when enjoying a beverage. 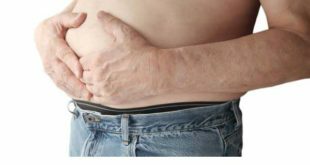 Previous How to Get Rid of Stomach Ache Naturally?